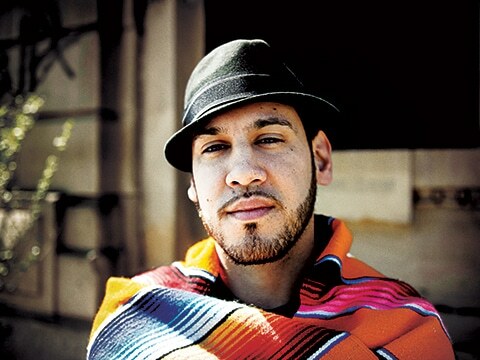 Boogat is a brilliant latin american vocalist who constantly reinvents himself with his prolific discography and a unique artistic approach. He has opened for Nortec Collective, Quantic, Gilles Peterson and Chromeo between others. Boogat’s non-stop work in the Worldbeat / Tropical Bass scene has given him world wide recognition and permited him to develop an international career, mainly in North America where tours and festival appearances have increased significantly since 2013. Some of his songs have also made their way to Hollywood, including placements in blockbusters like the TV series ”Homeland” and the film ”The Forger” with John Travolta. ”Neo-Reconquista” is his latest work to date (2015).